2 litre pack of general purpose free draining Bonsai Soil or Compost. Suitable for indoor and outdoor bonsai trees. 2 litre pack of general purpose Bonsai Soil / Compost. 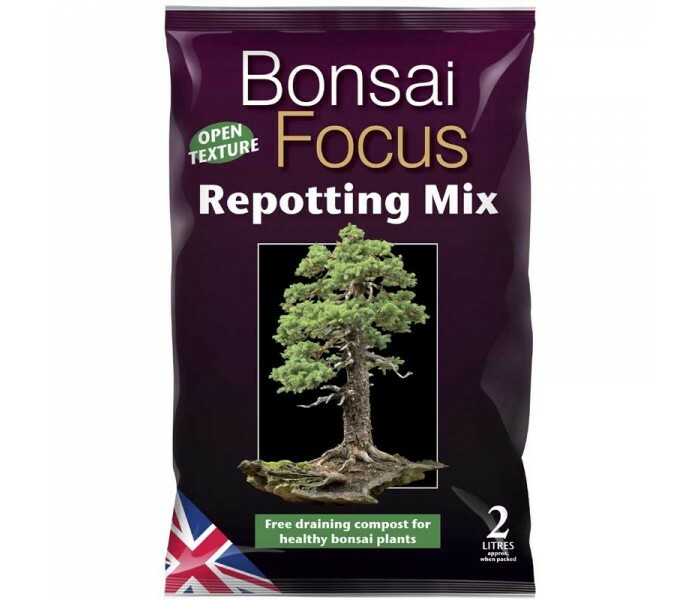 Bonsai Focus repotting mix is a free draining compost designed for best results with the widest range of bonsai trees. It's made in the UK from a selection of fine grit, sand, bark and peats from sustainable resources. This Bonsai soil is suitable for indoor or outdoor bonsai trees. The pack includes repotting instructions.